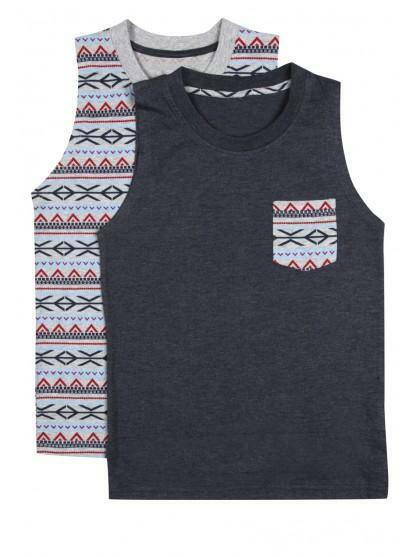 Awesome for the summer season, these 2 PK aztec print vests are perfect for when the sun is shining. 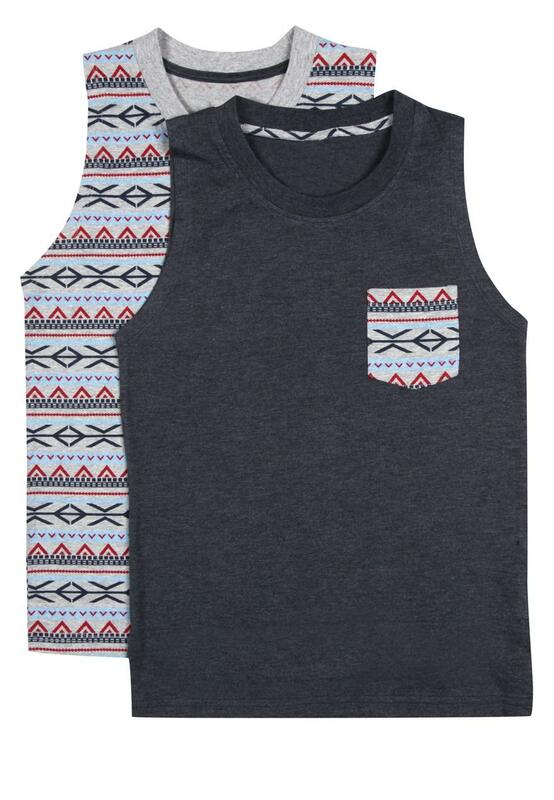 With the Ethnic trend in full swing, these are definitely an essential for any cool dude. Featuring a rounded neck and pocket detail, the contrasting print and plain make these a must have duo for any wardrobe.